Neil is an assistant professor in the Human-Environment Systems (HES) Research Center at Boise State University. 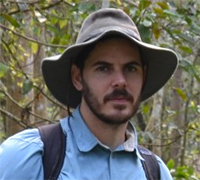 His research is highly interdisciplinary and utilizes field-based, quantitative, and conceptual approaches to understand complex feedbacks among people, wildlife, and ecosystems. Neil strives to conduct actionable research that advances science and informs decision makers on ways to conserve biodiversity while also sustain (and improve) human wellbeing.